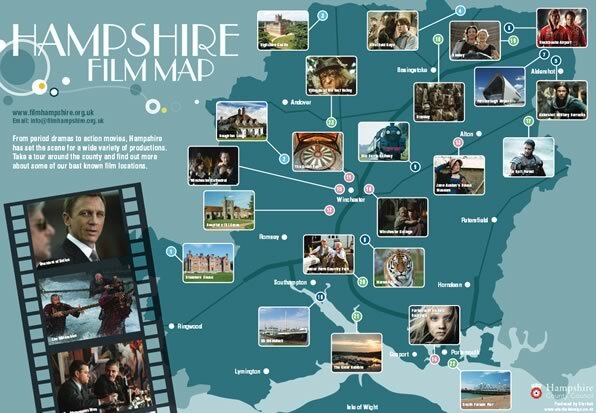 From period dramas to exciting thrillers, Hampshire locations have set the scene for a wide variety of films and TV shows. From Tom Cruise and Brad Pitt to Nicole Kidman and Daniel Craig, many famous faces from stage and screen have shot productions in the county. Downton Abbey was also filmed in Hampshire. Magnificent Highclere Castle served as the backdrop for the popular ITV drama. But did you know that other productions were also filmed there? Robin Hood: Prince of Thieves, Eyes Wide Shut and The Four Feathers all shot scenes at the historic estate.